The Perytons™ Protocol Analyzers are feature-rich portable tools for troubleshooting and monitoring a variety of wireless and wireline networks and protocols in the lab and in the field. Perytons™ Analyzers help developers, integrators, and support teams quickly map network topology, capture activity patterns, make sense of the bits and packets, as well as identify and resolve problems more quickly and easily than ever before. Enhanced monitoring tools allow locally or remotely monitor operational networks, identify problematic scenarios, and generate events and alarms. A built-in message modification and transmission tool allows generation of over-the-air traffic, and analyzes the system under test response. The PeryTAB™ models allow using the Perytons™ Analyzer on a Tablet PC gaining the easy to use touch screen with specially adjusted user interface and use of finger gesture interface. With unique features and a large array of user-friendly tools, Perytons™ Protocol and Network Analyzers combine performance and flexibility with ease of use unmatched in today’s market. 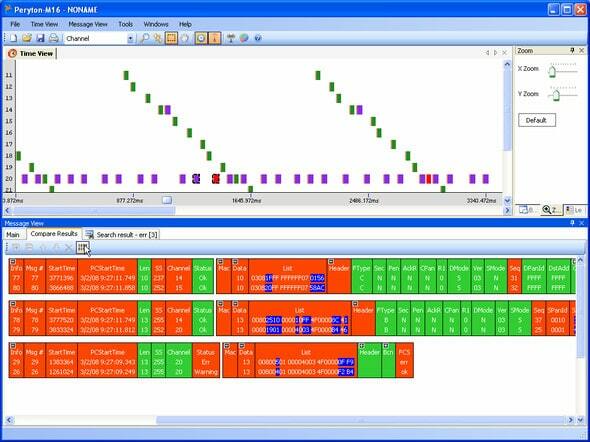 An enhanced analysis toolbox helps identify and understand problems using flexible Search, Compare, Statistical Analysis, and other Intuitive Analysis utilities. The Perytons™ Analyzers support a variety of standard protocols such as ZigBee, RF4CE, 6LoWPAN/ZigBeeIP, 802.15.4, 802.15.4a, DASH7 and PLC, as well as proprietary protocols. The latest revision supports ZigBee Profiles such as ZigBee Home Automation, ZigBee Health Care, ZigBee Smart Energy, ZigBee Light Link, ZigBee CBA, ZigBee Retail, ZigBee GreenPower and ZigBee IP. 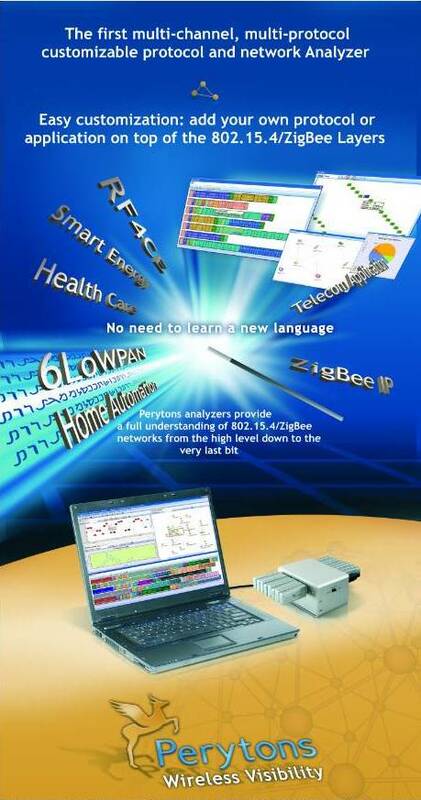 The PeryTAB™ is a Perytons™ Protocol Analyzer version specially adjusted for Tablet PCs. These products provide a unique user experience running the Perytons™ Analyzer models with touch screen features. The PeryTAB™ allow interacting with the Perytons™ Protocol Analyzer in both portrait and landscape orientation, choosing features and options with large icons and fonts optimized for finger size, browsing the analyzer windows with finger gestures such as zoom, scroll and tap. Unlike the basic Perytons™ Protocol Analyzer models, the PeryTAB™ is provided with a Windows-7 Tablet PC* (*depending on stock availability and Perytons™ policy). ZigBee is the leading standard for smart energy networks, home automation, sensor networks, health care, and many other exciting applications. 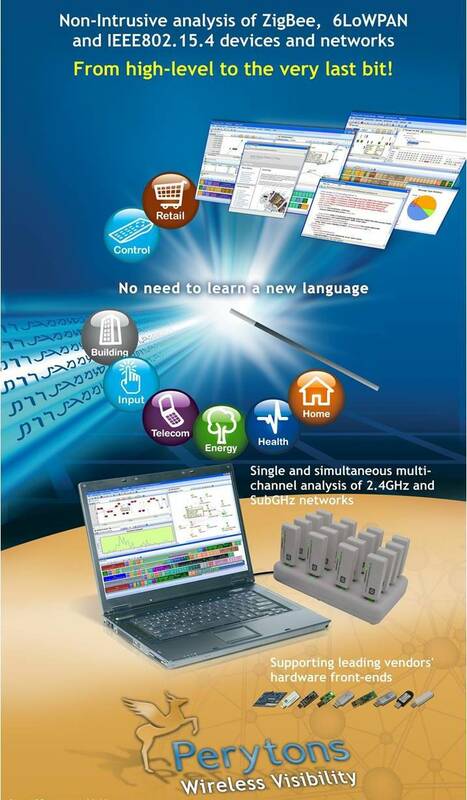 ZigBee RF4CE is dedicated for remote controls and other consumer electronics applications. The variety of players in this evolving arena - combined with the assortment of features and options proposed by the standard - can turn the development, debugging, and rollout of ZigBee solutions under demanding time-to-market constraints, into a big challenge. Overcoming this challenge, Perytons™ ZigBee sniffer is an indispensable tool for development, integration, installation, monitoring, and troubleshooting systems and products based on the ZigBee protocol. Perytons™ Protocol Analyzers combine full coverage of the 2.4Ghz and Sub Ghz bands with a rich and user-friendly analysis toolset. Our analyzers are the only ones in the market today that support multi-antenna operation with accurate inter-channel synchronization. The Peryton-SDK (Software Development Kit) Add-On allows the user to add his own protocol and application layers on top of any of the protocol layers supported by the basic Perytons™ Protocol Analyzer models. This Add-On can run on top of any of the Perytons™ Protocol Analyzer models. When using the Peryton-SDK Add-On, the user can add his protocol layers, fields, their possible values and meaning, hints, and error criteria, to the analyzer. Companies with proprietary protocols or applications running on top of the 802.15.4(a), ZigBee, ONE-NET, or PLC protocols can have a single professional tool to analyze all their protocol layers, making the development, QA and especially post-sale support - much easier. The new added layers gain all the analyzer features and capabilities including GUI and toolbox, and become part of the overall protocol analyzer working environment. The code generated by the SDK can be shared with other Perytons™ Protocol Analyzer users allowing customers and partners to have a professional tool that supports the proprietary protocol layers in addition to the existing protocols of their analyzers. The Peryton-SDK Add-On includes a C-Sharp development environment for Microsoft Visual Studio along with the Perytons™ Protocol Analyzer core libraries. The Peryton-Monitoring Add-On allows writing and signing Open Source Rules as well as performing batch operations on several data capture files. By using the built-in Open Source Rules wizard, the user can define Open Source Rules on the received packets based on specific criteria or scenario being investigated. Open Source Rules can be used to generate events and alarms, update the customized statistics charts, redesign how the Time View and Message View windows look, initiate data sessions of selected strings over a predefined communications channel and protocol, and more. Events and alarms are logged into the Events Log window, and can generate automatic e-mail or other alerts. This tool is very useful for system integrators, operators and field engineers, looking to monitor live system performance, identify misbehavior, etc. Definition of Open Source Rules is easy, yet allows maximal flexibility. An Open Source Rule can run on any field, looking for its value, meaning, hint, text or bare existence. Functions and variables can also be defined and used within Open Source Rules. There is no need for external development tools for defining and running Open Source Rules. Each Open Source Rule can be exported (signed) and shared with others. Open Source Rules are also kept in the workspace for easy sharing of the tested scenario with other Perytons™ Protocol Analyzer users. 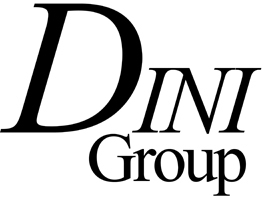 In addition to the on-line Open Source Rules, off-line Open Source Rules are used for previously captured files allowing display of only the relevant messages, and making analysis of long captures easy. The Peryton-Monitoring Add-On can run on top of any of the Peryton models. To learn more about the Perytons™ Open Source Rules tool. The Peryton-TrafficGenerator Add-On allows analysis of the system under test behavior after stimulating it with predefined over-the-air traffic. With the Perytons™ Traffic Generator, the user can chose the relevant messages out of any existing capture (.ANL) file, modify the messages content if needed, and then use the Traffic Generation feature to transmit these messages over the air (accomplished via a separate USB dongle). A data capture process can take place simultaneously. In such case the Perytons™ Protocol Analyzer will capture the generated messages as well as the system under test response and display them to the user. The generated messages are marked, making it easy to distinguish them from the system-under-test reaction.